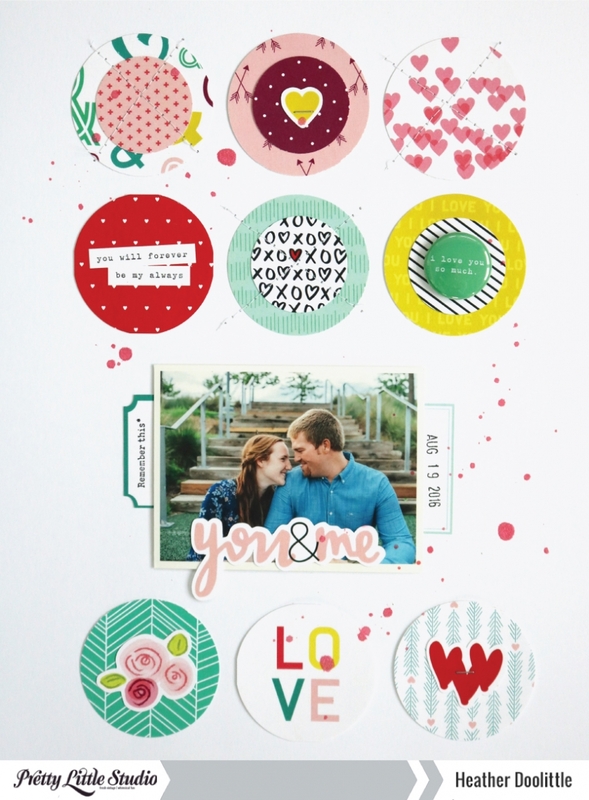 It’s Heather and I’m so happy to be back sharing another layout that I’ve created using my newest collection, XOXO. 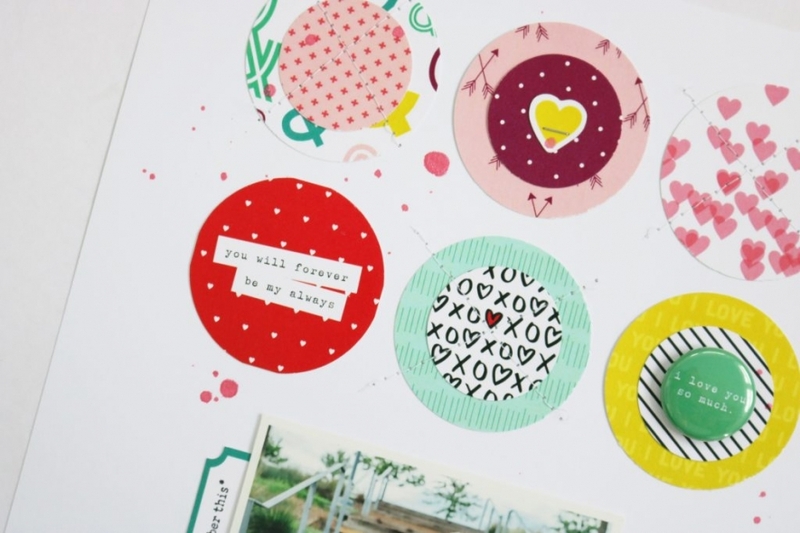 I started out with the idea to use a grid of punched circles for the background. Sometimes your ideas don’t work out exactly like you plan, but this one did! 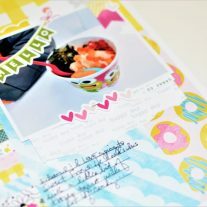 I layered two different sized punched circles (2″ for the larger circles and 1 3/8″ for the smaller circles) from the patterned papers. I even punched some of the 2×2 squares from the swatch pack! Those circles are kinda flat on the sides where the 2×2 wasn’t quite big enough for the punch, but I let it slide this time– I liked the look of the added little quote designs. For textural elements on this 8.5×11 layout, I used machine stitching on some of the patterned circles, tiny attacher staples on a couple of the elements on the circles, and I also added some Heidi Swapp Color Shine mist splatters to finish off the page. I’m still loving mist (anyone else out there with me?) on my projects- specifically layouts. 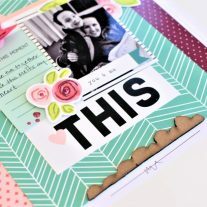 I’m in love with how this layout turned out- when is the last time YOU made a project that you absolutely fell in love with? Let me know in the comments!